Oneway-Tour from Urbanhafen Kreuzberg to Tiergarten including a watergate passage. 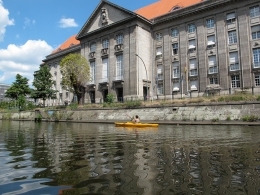 On the legendary Landwehrkanal through the middle of the city along the Potsdamer Platz and the Tiergarten Park. 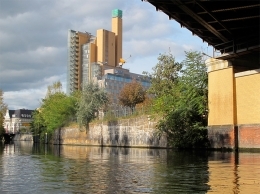 A great mixture of urbanity, culture and history – one way tour including a watergate passage. 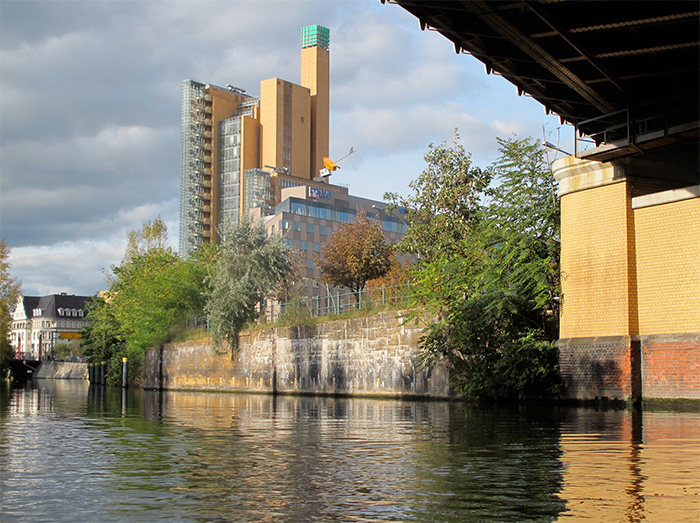 The morning tour starts at Urbanhafen Kreuzberg and ends at Tiergarten, the afternoon tour goes vice versa (return tour). Saturday May 18th (Frauenlauf), Sunday June 23rd (Velothon), Saturday July 27th (CSD), and Saturday September 28th (Berlin Marathon) we offer instead the East-Panorama-Berlin-Tour. 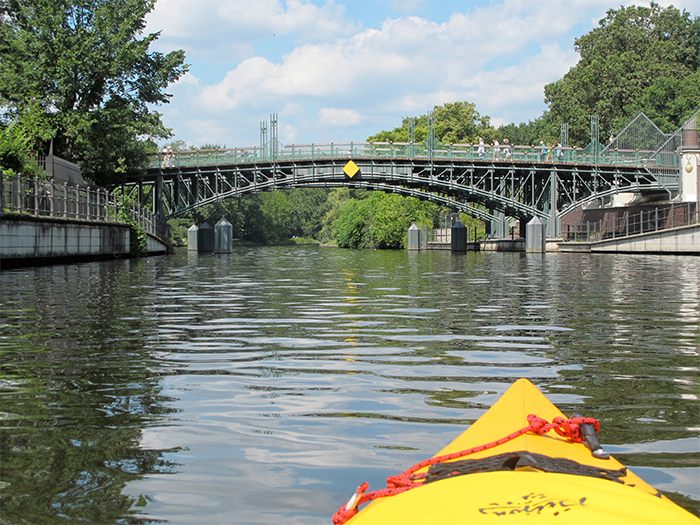 For more than 6 paddlers please send an e-mail. Private tours anytime on request from april to october. Booking morning tour 11 am. Booking return tour afternoon 2:30 pm. 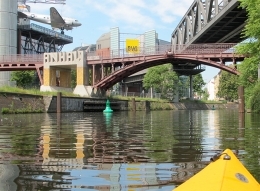 Meeting point is our blue Kayak Truck opposite a-horn cafe at Carl-Herz-Ufer 9. We start at the riverside on the right side of the van Loon Restaurant ship where you can have a nice breakfast or lunch. 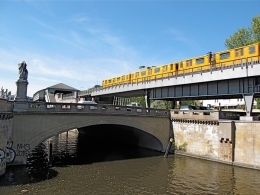 Public transport: subway U1 – station “Prinzenstraße” / Address for the GPS: Carl-Herz-Ufer 7. 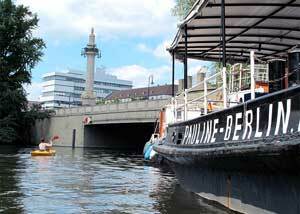 For the return tour (Saturday/Sunday 14:30) we meet at the terrace Einsteinufer 17. The Urbanhafen in Kreuzberg a former harbor! Here we start – right next to the boat restaurant “Van Loon”. Our truck delivers the kayaks and is at your service to take your luggage or your bikes to the destination of the tour. 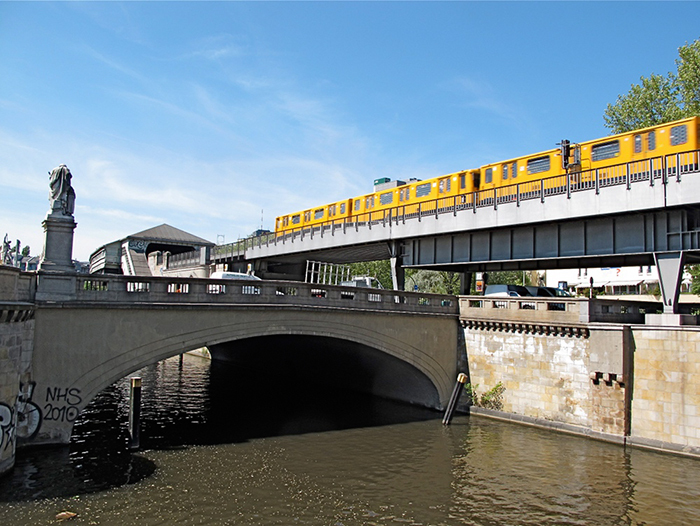 For a while paddle alongside the U 1, which was built by Siemens as the fist elevated railway of Berlin. The bridges and stations still remain of these days of industrialisation. Here at this point different railways are crossing over and under the water. The airplain hanging on the building of the technical museum is a so called Rosinenbomber being used in the Berlin Airlift to supply the West-Berliners with food and medication during the blockade by the Soviet Union 1948-1949. The “Potsdamer Platz” was destroyed by bombs of the Second Wordwar and remained as a waste land between east and west. In the 1990s a modern architectural ensemble was built completely different from what was here before. 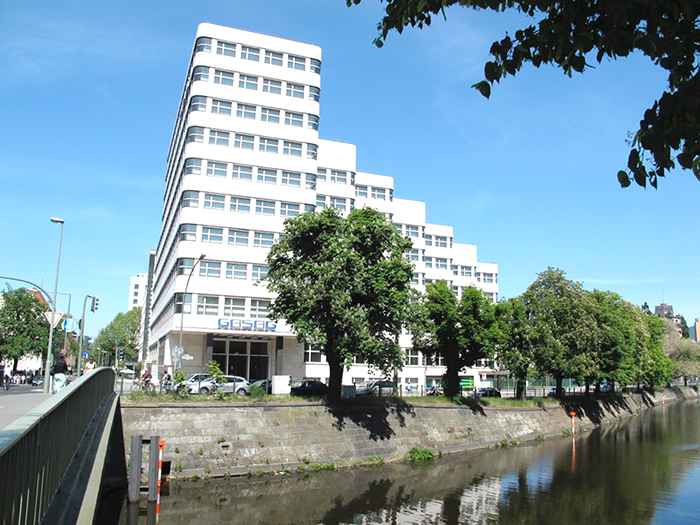 The “Shell-house” was constructed in 1931 by E. Fahrenkamp as one of the first Berlin buildings with steel skeleton. Particular are the windows over the edges and the wavelike facade. The “Bendler Block” was and is an important part of Germany’s military headquarter being used in our days by the department of defence. The memorial of the german resistance against the Hitler regime remembers us of the July 20 1945 plot, which failed and so the leading military officers Stauffenberg and others were assasinated in this building the same evening. During the Novemberevolution 1918/19 the co-founder of the German Communist Party Rosa Luxemburg was taken prisoner, murdered and thrown into the “Landwehrkanal” at this point January 15. 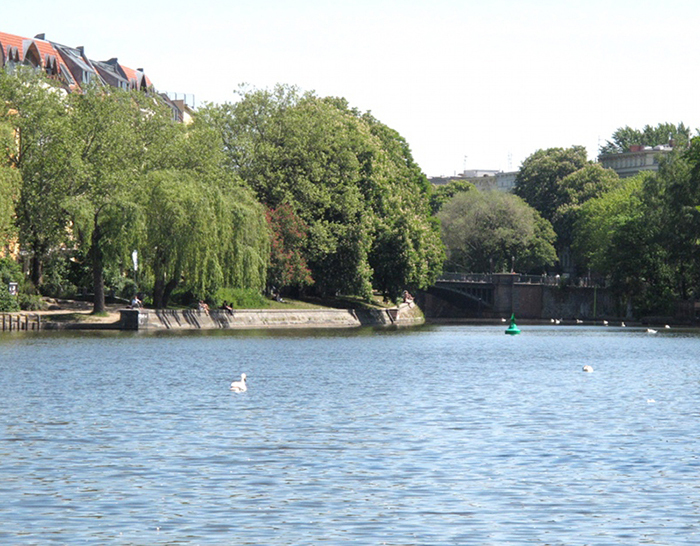 Karl Liebknecht was also shot some 100 meters from here in the “Tiergarten”. Soon we reach our destination.